The first few years of the online payments opportunity was scary for retailers. There was scarce security programming available to keep consumer information safe, products got lost in the delivery process and often, vendors were unable to meet their customer’s needs. Today, the online shopping industry has matured through both improved programming at all points of the transaction lifecycle, as well as through national and international regulations that govern how merchants store and manage consumer data. The online payment industry now provides safe, speedy transactions that benefit both consumers and sellers. The growth of the online payment sector has tracked that of the online shopping industry. 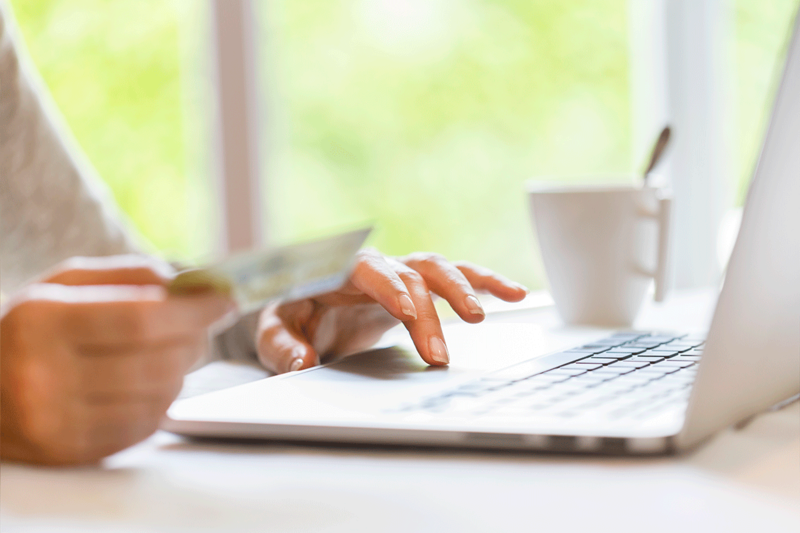 Today’s online payment portals offer merchants of all sizes numerous reasons to take advantage of what digital purchasing technology has created. Many of today’s digital financial services are technologically automated, which reduces or eliminates paper, filing, data sorting, data entry and most other aspects of manually processing payments. Investments in the programming or purchasing cloud-based financial management services reduces the overall costs of managing the financial dimension of any business, leaving more money available for better purposes. By reducing or eliminating costly human-caused errors. By speeding processing times. A computer can complete significantly more transactions than a human can in the same time period. Automated payment schedules eliminate the need for any human intervention, with transactions occurring as the programming dictates. Both the automatic payment schedule and online payment capacity also reduce cash flow concerns, because each ensures that revenues are received promptly and consistently. Through the digital portal, retailers gain immense data about their consumer base, from product preferences to speed of shipping requirements. Data analytics provides insights into their market that can drive business decisions towards sectors where the company will most likely find success. For merchants, an online payment service offers reduced expenses, happier customers and a wealth of information upon which to grow. In 2016, online transactions accounted for one in every seven purchases, and in the fourth quarter of that year, online spending topped $109.3 billion, up 18 percent over Q4 of 2015. Merchants who offer online payment options will be able to serve a larger population of buyers. Consumers have options with which to pay for their goods. Online payments allow easy use of either debit or credit options, giving shoppers the flexibility they need to use the buying option that’s right for them. The online payment capacity also facilitates speedier delivery times, which responds to consumer demand for fast transaction turnarounds. The immediate payment capability also covers costs immediately so that shipping can occur almost simultaneously, generating another element of customer satisfaction. For the past decade, experts in the finance protection industry have been developing protocols to reduce or eliminate online fraud and theft, focusing much of their energy on making online payments as safe as possible. Today, online payment systems are protected by layers of security that interact throughout the digital purchasing action. Chip technology generates a distinct authentication code for each transaction, limiting theft exposure to that single instance. No more stolen identity based on an online purchase event. Tokenization converts each transaction into a substitute value, hiding the customer’s private information until it reaches their bank. Encryption secretes data and transmits it through an internal network to which thieves have no access. Today’s online payment opportunities offer both merchants and purchasers access to the ever-growing global market. As consumer demands evolve to reflect that power, digital security protects their online buying practices. And merchants who embrace online payment processes will continue to reap the benefits and profits that are emerging from that global marketplace.